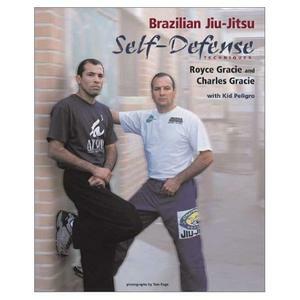 This guide to the self-defense techniques taught in the classes of Royce Gracie, one of the biggest figures in the world of jiu-jitsu, provides lessons that anyone—regardless of strength or size—can learn to neutralize an attacker in seconds. It offers a variety of defenses to use against knife and gun attacks, as well as escapes from headlocks, choke holds, and other situations that attackers use on the street. Advice on practicing and falling and rolling make this book the next best thing to taking the classes that are popular with the United States military, police academies, and women's self-defense schools.